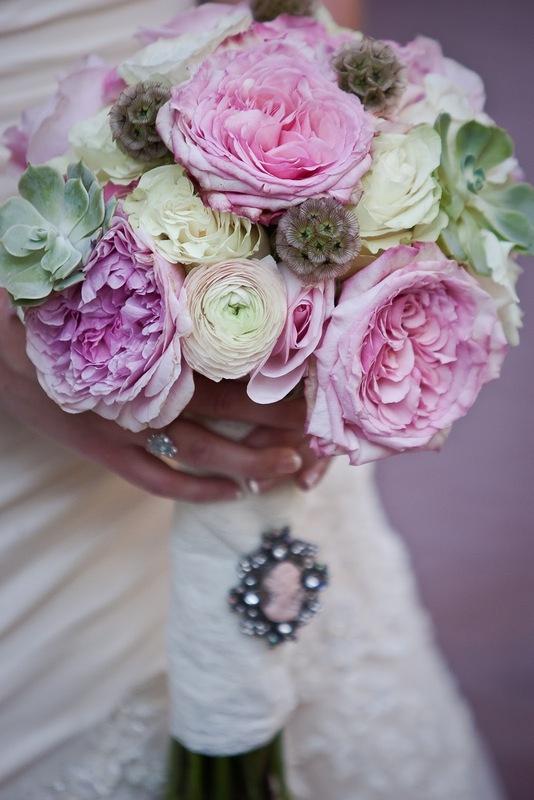 For much of our engagement, I was unsure if I was going to carry a bouquet on my wedding day. I didn't know if it was necessary and thought I wanted to carry something more sentimental down the aisle. I had a few things in mind, my grandmother's rosary, my mother's small bible, or the gold necklace that my dad wore everyday for over 20 years (which I inherited after his death). Mainly, I really wanted to make sure that everything we incorporated into our day was meaningful. Traditions or customs that we didn't feel emotionally connected to, we chose to leave out. One example is that we didn't do a bouquet/garter toss. 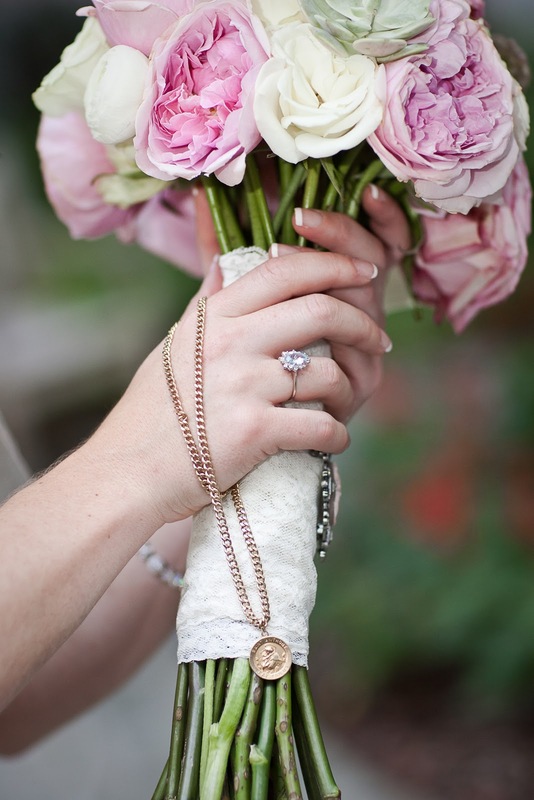 I eventually chose to carry a bouquet along with my dad's necklace down the aisle and was happy with my choice to combine both options. 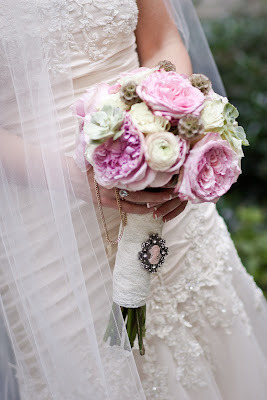 Now I just love looking at pictures of those pretty flowers wrapped in lace and secured with a pink cameo! My bouquet included English Garden Roses, Ranunculus, Succulents, and Scabiosa Pods. I absolutely love the idea of securing it that gorgeous cameo. And I like how you kept your Dad's necklace too. You just gave me the idea of incorporating my something Old and something Borrowed into the flowers! 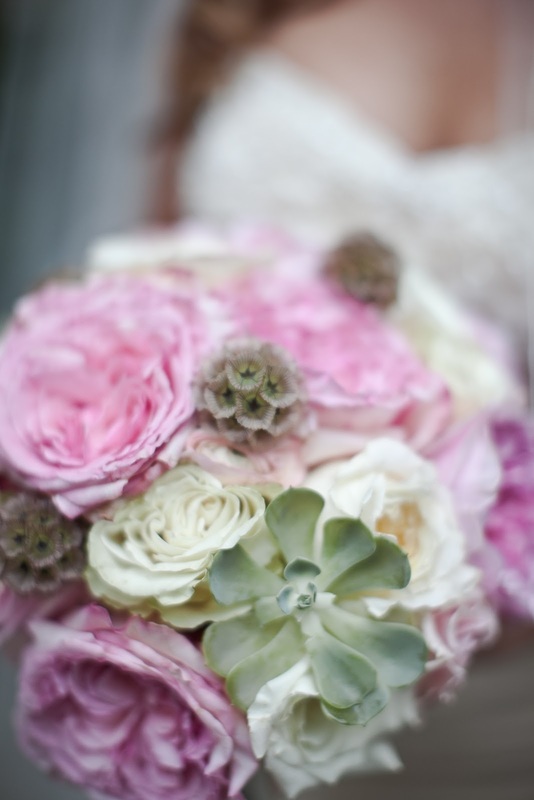 Thankyou and what stunning flowers you had! Thank you! I'll check out your blog to find out what your "something old" and "something borrowed" are!